Life membership to W.A.B. is obtained by the purchase of a sequentially numbered W.A.B. Record Book/CD pack. The combined pack consists of a printed A4 Book containing background information and claim sheets for the W.A.B. 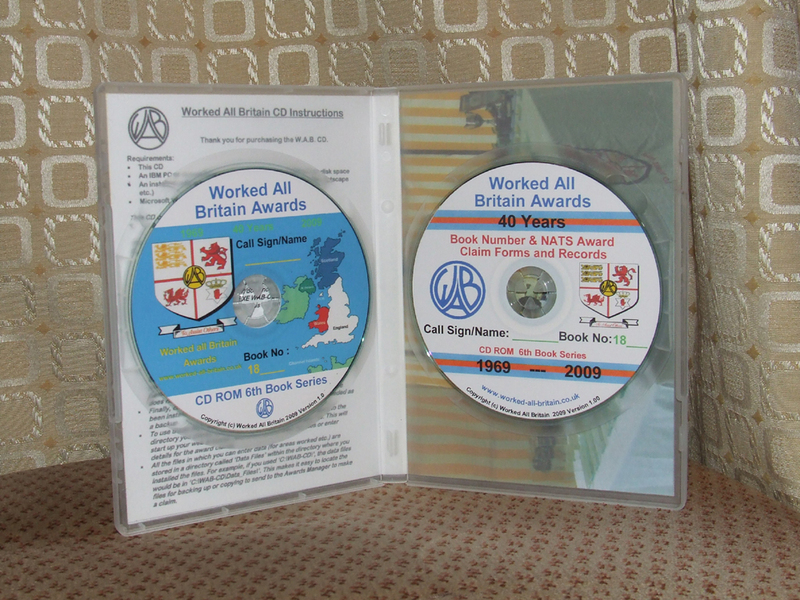 Squares Award and certain other Awards, a CD-ROM version of the Book, and a CD-ROM specifically for the Book Numbers Award (with lists in both Book Number and Callsign order) and the Navigational Aids To Shipping (N.A.T.S.) Award. Payment can be accepted in P.O. or cheque made payable in pounds sterling to "The Worked All Britain Awards Group" or in $(US) or �(Euros) cash or IRC's, or via this web site using PayPal. Please click on the Price List link for your location in the side menu to purchase a Book/CD Pack. The Book/CD Pack is given a Book Number, which is issued to the original recipient of it. The Book Number belongs to the person or group and is listed under the callsign or, if the person or group does not have a callsign, the name of that person or group. If the person or group obtain a new callsign the number will be listed under that callsign and not the original name or callsign, unless the original callsign is retained by the person or group. In that case, the number will be listed under both callsigns. This Book Number cannot be transferred to any other person or group. 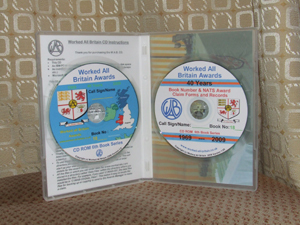 Sixth Series Book/CD Packs produced using files from G4VID, modified by G4IAR & G0AKH with grateful thanks.